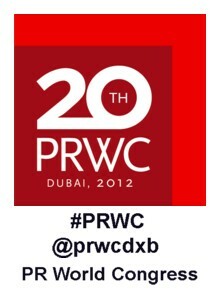 The Public Relations World Congress (PRWC) is a biennial event that brings together global PR professionals. The be hosted from March 13-15 in Dubai. The 20th Public Relations World Congress is to be held in Dubai with the theme of 'From the Arab Street to Wall Street: Communications in an Age of Dialogue'. Phil Blizzard talks to Sunil John, CEO, Asda'a Burson-Marsteller, Dubai and chairman of the organising committee on what this platform will offer PR professionals from across the globe. He also talks about the evolution of PR in the Middle East and how PR is likely to progress.